The postgraduate diploma in public health practice: specialist community public health nursing, takes one year to complete. It is designed specifically for nurses and midwives who want to achieve career progression into a community based role. Successful completion of this programme will entitle you to register with the Nursing and Midwifery Council in the clearly defined area of specialist community public health nursing. As a result, graduates typically find employment as a health visitor, school nurse, in sexual health, or as an occupational health nurse. Our nursing is ranked 5th in the world and 3rd among UK universities (QS World Rankings by Subject 2019/20). Help improve lives in a community and educate young people on health matters as a health visitor or public nurse with the PGDip in Public Health Practice: Specialist Community Public Health Nursing course. As a public health specialist, you will be involved in providing health care for children, families, individuals and communities through vital skills gained on this course. Learn strategic leadership and management for health and wellbeing to run an effective practice and provide care in the community as a public nurse or as an occupational health nurse. This PGDip public health practice: specialist community public health nursing qualification is sometimes referred to as the health visitors' diploma. That's because becoming a qualified health visitor is one of the main career goals of the nurses and midwives who enrol on the programme. As a student you will gain skills in leading, managing, delivering and enhancing the public health of individuals, groups, and also whole communities. All of your practice modules will be integrated into the programme, and you will consolidate what you have learned under the supervision of a recognised practice teacher. The Faculty welcomes applications from graduate nurses or midwives with a degree classification of 2:2 or higher. To be admitted to the Postgraduate Diploma in Public Health Practice with SCPHN registration programme you will need to satisfy the requirements of the University of Southampton, Nursing and Midwifery Council, and the Faculty of Health Science. Abatement against any part of the programme will require the completion of Accreditation of Prior Learning [APL]. More information can be found through the University website. This programme has been approved by the Nursing and Midwifery Council. There are three taught modules worth 20 credits, each at level seven, along with two pathway specific modules worth 20 and 30 credits, also at level seven. Then there are two practice modules worth 10 and 20 credits, each at level six. There are also four career pathways, these are: health visiting, school nursing, sexual health and occupational health nursing. All pathways are offered on a full time or part time basis. Southampton has a well developed history of interprofessional and transdisiplinary learning, and some aspects of your programme may be shared with students of other health professions. The Faculty welcomes applications from graduate nurses or midwives with a degree classification of 2:2 Hons or higher. To be admitted to the Postgraduate diploma in Public Health Practice with SCPHN registration programme you will need to satisfy the requirements of the University of Southampton, Nursing and Midwifery Council, and the Faculty of Health Science. Abatement against any part of the programme will require the completion of Accreditation of Prior Learning [APL]. Since you may be working with physically and psychologically vulnerable people, it is important that you should be in good physical and mental health on entering the programme. You will be required to undertake a health screening process and may need to update your immunisation status before going on clinical placement. Disability is not a bar to entry as long as you are capable of working as a SCPHN in your area of defined practice. This programme is exempt from the Rehabilitation of Offenders Act, 1960. This means that you will be subject to a check by the Criminal Records Bureau and any police cautions, civil or criminal convictions will be revealed. You must disclose any police record and discuss it, in confidence, with the programme leader. Having a record will not necessarily debar you from entering the programme. All students registered for this programme are advised to become members of a professional health related union. All places are conditional on satisfactory evidence of academic achievement and health and criminal record checks. Stationery You will be expected to provide your own stationary items, e.g. pens, pencils, notebooks, etc. for undertaking university academic work. Equipment IT: Access to a PC or Mac will be necessary for undertaking course assignments. Students may find the use of a tablet useful for lectures but this is not essential. To develop higher level critical and analytical skills, we adopt a model of Guided Discovery Learning [GDL], which is characterised by realistic scenarios and group work. This approach is designed to develop you as an independent learner, with enhanced reflective thinking and clinical reasoning skills. GDL scenarios will become more complex throughout the programme, and will reflect aspects of current clinical practice across all age ranges and areas of nursing. In addition to GDL, your theoretical learning will be facilitated through a range of other strategies. These strategies include: attendance and participation in learning sessions, technology enhanced learning, self directed study, guided learning activities, conference attendance and lectures, as well as student and tutor led seminars. This health visiting course pathway will enable you to deliver high quality care as a health visitor. During your health visitor training you will develop a critical awareness of issues and developments in health visiting by undertaking accurate assessments of children, their families, individuals, groups, communities and populations. You will also learn to recognise and respond responsibly to the complexities of public healthcare and the context in which current and future services will be delivered. Furthermore, this health visitor course pathway will enable you to build on existing learning to develop understanding, skills and attitudes, which will enable you to become an independent learner, as well as a competent, autonomous, reflective and ethical practitioner. By the end of your health visitor training you will have developed competence in planning, delivering and evaluating services in relation to: searching for health needs, stimulating an awareness of health needs, influencing policies affecting health, and facilitating health-enhancing activities. 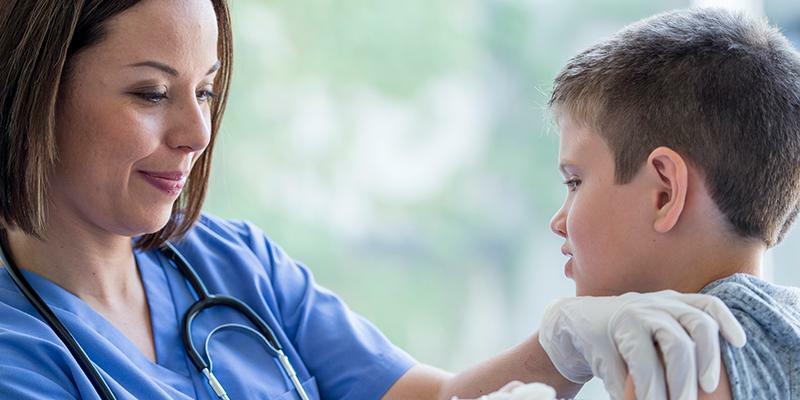 This school nursing course pathway will enable you to deliver compassionate, safe and effective care for children and young people, whilst also recognising your responsibility for safeguarding them. During your school nurse course studies you will learn to provide care that meets essential and emotional health needs, whilst understanding your role as an advocate for children, young people and their families. Furthermore, you will learn to deliver child and family centred care and empower children and young people to express their values, views and preferences, whilst also recognising and upholding their rights and best interests as part of this school nursing course pathway. By the end of this school nurse course programme you will have developed competence in planning, delivering and evaluating services in relation to: searching for health needs, stimulating an awareness of health needs, influencing policies affecting health, and facilitating health enhancing activities. This sexual health diploma pathway will enable you to deliver compassionate, safe and effective sexual health and reproductive healthcare, whilst recognising your responsibility for health promotion, protection and safeguarding. During your diploma in sexual health studies you will learn to deliver evidence based healthcare, support and intervention that meets essential, as well as sexual health and reproductive health needs. This care will be informed by the recognition of biological, physiological psychological and social factors. Furthermore, you will gain a greater understanding of your role in influencing the delivery of health and social care services to optimise sexual and reproductive health, whilst also working closely with other agencies to ensure well-supported transition between services as part of this sexual health diploma. 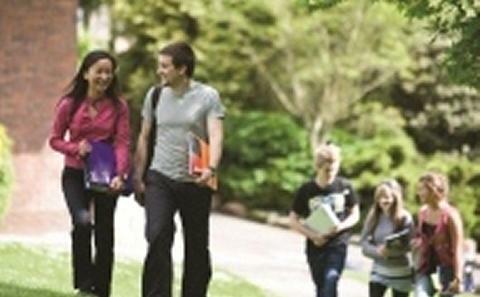 By the end of this diploma in sexual health you will have developed competence in planning, delivering and evaluating services in relation to: searching for health needs, stimulating an awareness of health needs, influencing policies affecting health, and facilitating health-enhancing activities. This occupational health nursing diploma pathway will enable you to deliver safe and compassionate occupational healthcare, whilst recognising your responsibility for health promotion, protection, rehabilitation and safeguarding. During your diploma in occupational health nursing studies you will learn to deliver evidence based healthcare, support and intervention that meets essential preventative and protective health needs. This care will be informed by recognition of environmental, biological, physiological psychological and social factors. You will also gain a greater understanding of your role as an advocate for individuals, groups and communities, whilst also working in partnership with employees, employers and wider health and social care provision as part of this occupational health nursing diploma. By the end of this diploma in occupational health you will have developed competence in planning, delivering and evaluating services in relation to: searching for health needs, stimulating an awareness of health needs, influencing policies affecting health, and facilitating health-enhancing activities.